when i first discovered i was having a boy i was very frustrated at the style choices that were available. it all seemed so limited. now 6 years later and with a 3rd boy to dress i have finally discovered (thanks to my bestie the internet) fun and creative brands that offer a variety of styles. at first it felt very forced, i was just copying looks others put together and i hated that. but now after feeling more comfortable with what my boys like it has all come very naturally. i feel confident that our personal styles are a good representation of who we are - which is important. i am a believer that dressing any child should be fun - no matter the gender, there shouldn't be any restrictions. and i love sharing my view on that with others! i have always toyed with fashion and mixing a variety of styles. since i don't have as much time for my own personal style, i have decided to put my efforts into helping my boys have fun clothes to wear without sacrificing style. my boys have been such inspiration for me and they have naturally become my muse throughout the years. they are so great about letting me put them in any type of attire -- i truly think it is because i keep it within their comfort zone and incorporate many things they love! i never force them to wear anything and i still love for them to look like kids as opposed to rockstars or little men. i love this look that i first discovered in a jcrew lookbook years ago. i have worn this style many times! i love the idea of dressing up in sweats, it is comfortable and practical for daily wear. normally i would never wear sweats out and about, but the skinny cut of sweats these days is such genius! what a creative way for a mom (or anyone) to get dressed without stress or concern. it seems to fit into any scenario you may face that day, from going on a play date to going on a coffee date. i love it so much. i have found myself gravitating to more comfortable styles over the years especially as life has become busy and my time is focused on my kids. 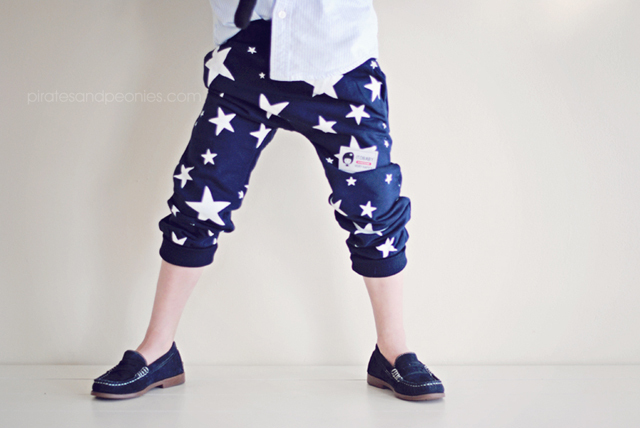 it is natural that your child's styles would morph alongside your own. clearly i have channeled this style into rowan's wardrobe on a daily basis. i love how he wears it with ease and rocks it better than i ever could! you can check out the rest of rowan's outfitted style and get my weekly tidbits on dressing boys over on the la petite magazine blog. it is a great resource for fun and creative ways to dress boys and offers helpful hints on how and what to shop for!